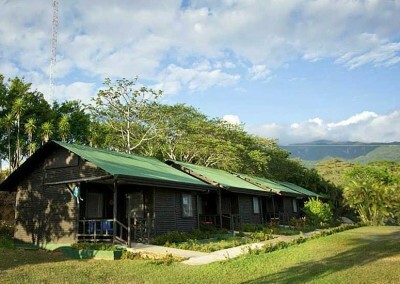 Inland Guanacaste is a complete contrast to the Pacific coast. This is cattle country, land of the ‘sabanero’ or cowboy. 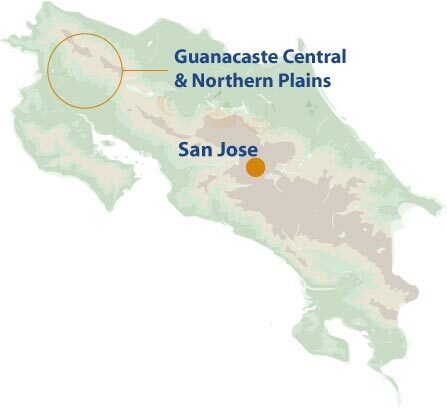 Guanacaste region is in the north west of the country. Its inland area is a complete contrast to its Pacific coastal region. Inland is cattle country, the land of the ‘sabanero’ or cowboy. As you move away from the beaches further inland the scenery laid out before you is the endless savanna, long grasses swaying in the breeze and the beautiful long horned brahma cattle grazing the plains. Guanacaste is authentic rural Costa Rica where cattle farming takes place rather than further south where it’s all about the coffee. The green luscious forests that are so typical of the rest of the country have made way here for cattle farming. The often parched grasslands are quite a contrast to what you might have come to expect of Costa Rica – it’s a country full of surprises. There is a definite ‘wild west’ feel here. The regional capital of Guanacaste is Liberia. This small town is home to an expanding international airport with flights to and from USA hubs. 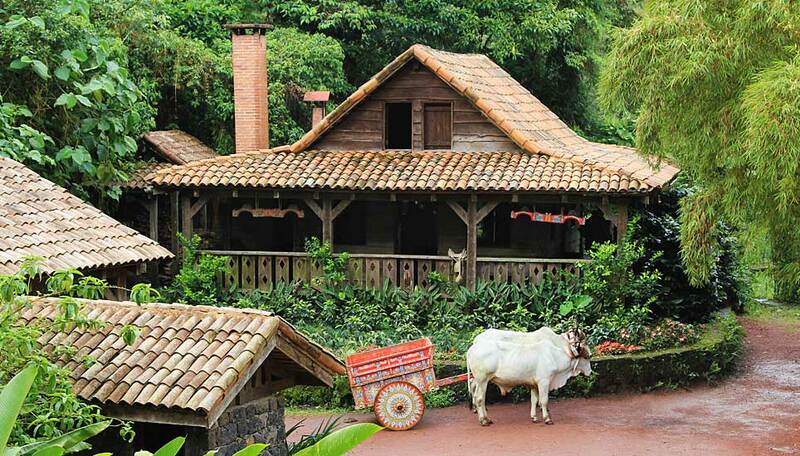 It’s a great place to stop and experience Costa Rican life in a small town with a strong sabanero culture. Known locally as ‘Ciudad Blanca’ in reference to the white-washed colonial buildings, it is safe and friendly and has an authentic Costa Rican feel all of its own. Though logistically close to the beaches of the Pacific coast, it is a million miles away. This is the place to go to for viewing amazing concentrations of both indigenous and migratory birds. As the area is created each year by the flooding of the Río Frío you could explore the lake by motorboat, or in drier periods find yourself walking along muddy riverbeds. For birding, the main attraction here, the best time to visit is the dry season, January to March – this is when most of the migratory species will be found here en masse. 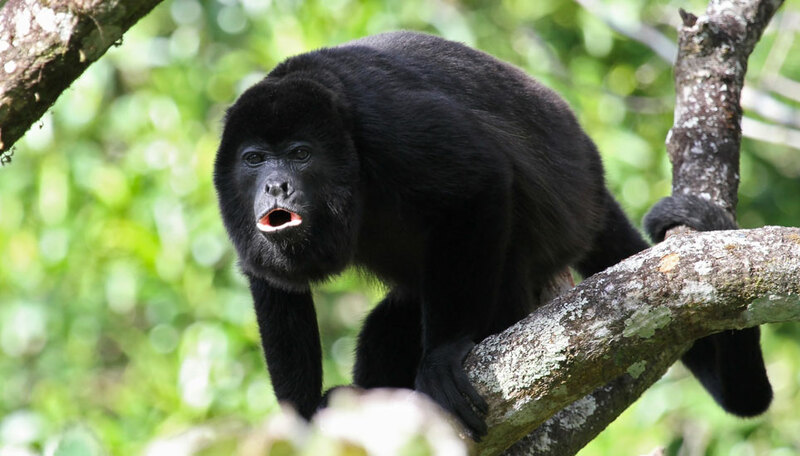 Howler monkeys and sloths also live here – the dense foliage makes them a little hard to spot without binoculars, but rest assured, the howlers will let everyone know you are coming. 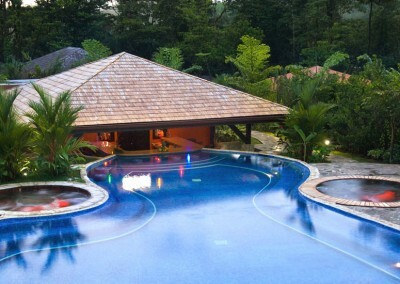 Guanacaste is no exception to the rest of Costa Rica and there are plenty of national parks in the region. 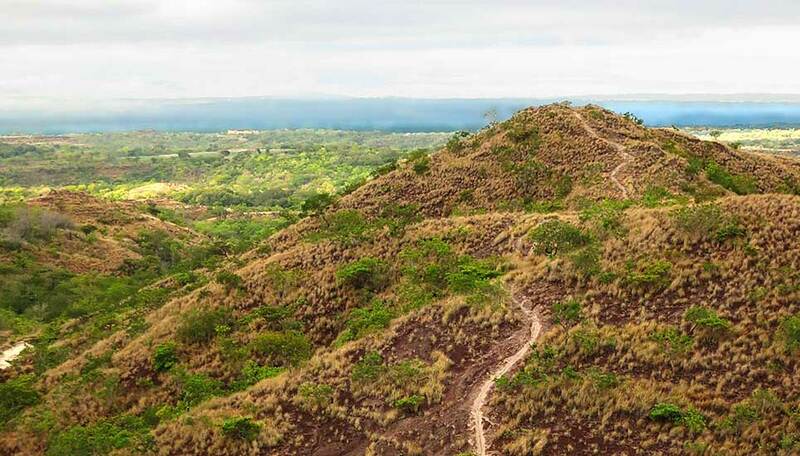 Rincón de la Vieja is one of the most magical and mystical parks, steeped in folkore with rich and varied flora and fauna, not to mention Costa Rica’s most active volcano. 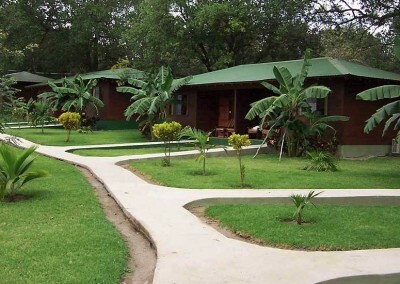 The park boasts stunning scenery, beautiful waterfalls, hot springs, a fresh water lagoon and much more. Enjoy the views on foot or on horseback and seek out the beautiful birds and local wildlife. Hikes to the top of the volcano are possible, however these can be suspended depending on volcanic activity, which is closely monitored. The spectacular bright blue Río Celeste runs through this national park. The river and waterfalls are such a vibrant shade of blue that locals simply refer to the area as Río Celeste. The vivid blue waters begin where two rivers meet – and then join to flow through this lush green rainforest – the blue contrasting against the green foliage is quite spectacular and quite ‘other worldly’. Naturally the other main attraction is the Tenorio volcano itself. Whilst you cannot hike to the top the various trails through this area show off the superb natural beauty. The park is home to a host of wildlife. Agoutis, coatis, pacas, capuchin and squirrel monkeys are found here, pumas and ocelots too, although if you manage to spot one of those you are extremely lucky. If you are looking to explore one of the earth’s natural wonders then you will find it here at Río Perdido. This unique spot is where two canyons come together and the cool waters of the Río Blanco meet the hot waters of the Río Perdido. As the river flows downstream, there are numerous thermal springs where you can relax and forget about everything else – but a stone’s throw away upstream is cooler water where you can swim. Also on the reserve are hikes of varying difficulty, depending on how much you want to challenge yourself. You can also go mountain-biking or completely lose yourself floating downstream on an inflatable tube – just let the current take you away. The forest here is pristine and every effort is made to keep it as nature intended. 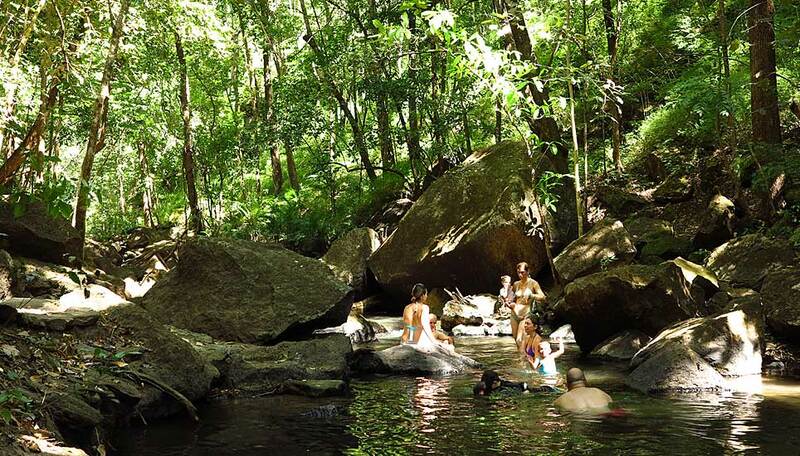 Hiking & thermal pools – Hike around the thermal pools, vents and waterfalls at Parque Nacional Rincón de la Vieja. Plenty of thermal activity here. Cowboy Culture – Visit the Sala del Sabanero Museum in Liberia which pays homage to the unique cowboy culture of this area. Blue Lagoon – Hike to the Pozo Azul in the Tenorio national park and see the milky blue waters of the Río Celeste flow into this smooth, calm lagoon. Río Perdido – Lose yourself for a day (or more) exploring Río Perdido where there is indeed, something for everyone. 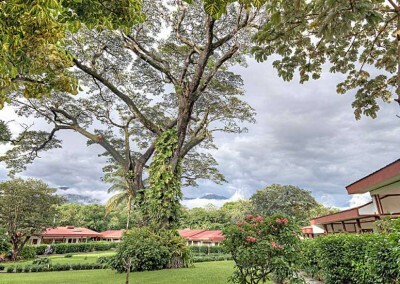 Día de Guanacaste – Celebrate Independence Day in Liberia on July 25 – but book your accommodation early! 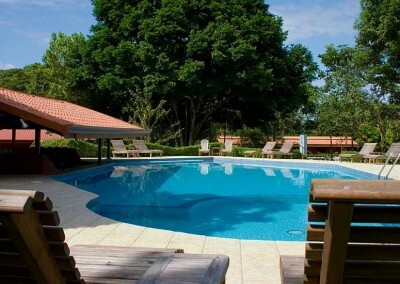 Guanacaste can be visited year round though most people tend to choose the dry season or shoulder season. 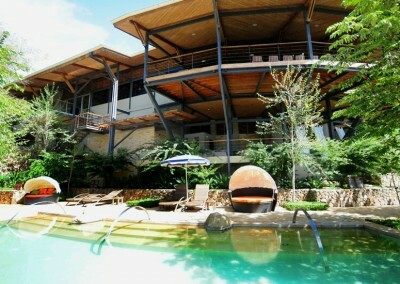 There are some exquisite places to stay in this area. If you are having difficulty choosing, let our expert consultants guide your way.